Welcome to the Betsie Valley District Library...the little library with a big heart! We are located in beautiful Thompsonville, Michigan. Warm and friendly staff welcome you to browse and enjoy the Library. The Library provides free services to all! Our library catalog holds approximately 9,000 materials, including books, audiobooks, movies, large print books, and magazines, all available to you with a valid Library card! 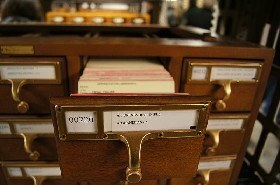 If we don't have an item, ask and we will gladly inter-library loan it for you! We offer daily subscriptions to the Traverse City Record Eagle, Manistee News Advocate, and receive the weekly Benzie County Record Patriot. Our catalog is now online! Just call or ask for your library card number and you can create your online account to view items that you have checked-out, reserve items, and renew your items. We have several audio CD books as well as a large collection of Large Print books. 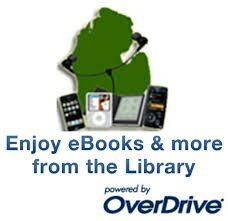 We offer eBooks, digital movies and music through the Up North Digital Collection portal! Patrons living or owning property in Benzie County or Manistee County can access this wonderful collection with their library card number. Ask us to get you started! We offer free WiFi! Also, we have four patron computers for you to use, call and let us reserve one for you! We are now a MeLCat Library! You may use your Betsie Valley District Library card number to search MeL Online Catalog for an item you wish to borrow from another participating library and have it sent to our library for pick up! We can also request items for you! Call or stop into the library and we can give you your library account number and show you how to get started! We are proud to announce that the Mid-Michigan Library League is providing the following digital resources to all member libraries: rb digital; audiobooks, and Transparent Languages Online! With your library card, you may sign up for an account to access these resources at any time via computer or mobile device. In the upper right corner, select “register” and follow the prompts to set up an account. You will need your library card number. Staff will gladly send a fax or make copies for you, patron confidentiality and privacy will always be maintained for your protection.